Ambulatory Care Nursing | What is Ambulatory Care Nursing? Ambulatory care nursing jobs are on the rise everywhere. The need is great for qualified ambulatory care nurses. These individuals provide a specialized service that requires a high level of skill and expertise. What makes these individuals so special is that they have the ability to provide many types of care to patients outside of the hospital setting. A career as an ambulatory care nurse can be very exciting because these nursing professionals encounter many different people over the course of his or her career. The main focus of ambulatory nursing is providing patients diagnosed with illnesses and injuries with general health education and pain management. This type of nursing requires a great deal of skill because ambulatory care nurses provide services to patients on an outpatient or episodic basis. They generally encounter patents in which they have no prior knowledge of their medical background history. These specialized nurses are responsible for providing case management, screenings, discharge planning, triage, and various other medical interventions to restore and maintain their patients’ health so that they can live independently. The day in the life of an ambulatory care nurse is very unpredictable. Ambulatory care nurses may have to provide care for a diverse number of illnesses and injuries, and they generally only come in contact with the patient for less than 24 hours. Ambulatory care nursing requires individuals with specialized skills, including IV therapy, teaching, phlebotomy, interpersonal communication, triage, ECG, and autonomy. A nurse must first fulfill education requirements before seeking the credentials as an ambulatory care nurse. A degree or diploma can be earned by completing a diploma program through a qualifying hospital, an associates degree from a participating 2-year college, or a bachelors degree from an accredited college or university with a nursing school program. Some choose to increase their marketability by earning a masters degree in nursing. 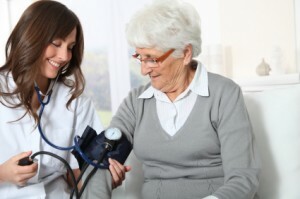 Although the minimum requirement for employment is generally a bachelor’s degree, due to the shortage of qualified nurses, many employees hire nurses with diplomas or 2-year nursing degrees. The first step in the process to gain certification to become an ambulatory nurse is to be an active registered nurse. It is necessary to have at least 2 years of experience as a registered nurse and 2,000 hours of clinical experience in ambulatory care nursing. Nurses must also have a minimum of 30 continuing education hours in nursing at the time that they apply for certification. Either education route in nursing is acceptable, as long as the applicant is a registered nurse. Successful passing of the NCLEX-RN exam is required before applying for the certification examination through the American Nurses Credentialing Center. The nurse salaries for ambulatory care nurses are very substantial. The salaries depend heavily on the location, experience, field of nursing, and demand. The current annual salaries for ambulatory care nurses are as follows: LVN ambulatory care nurses – $39,000, ambulatory nurse – $56,000, nurse clinical nurse – $60,000, and RN ambulatory nurse – $79,000. Specific positions as ambulatory care nurses that offer very lucrative salaries are associate chief nurse – $87,000 and nurse anesthetists – $130,000. Ambulatory care nursing can take place in a variety of settings, including retirement communities, surgical centers, homeless shelters, primary care offices, the military, HMOS, day care centers, clinics, home health agencies, mobile health units, colleges and universities, and special procedure units. The nursing role plays an intricate role in the salary that an ambulatory nurse receives. A few of the practicing roles include nurse manager, staff nurse, executive, nurse practitioner, director, clinical nurse specialist, and supervisor. According the Bureau of Labor Statistics (BLS), the entire nursing field of nursing is growing extremely fast—especially the area of ambulatory care nursing. Nursing is currently one of the top 10 fastest growing professions, and it will continue to grow over the next 10 years. The increase is due to the time constrains of doctors who must treat many patients in a short window of time. Other factors that contributes to the increase in need for qualified ambulatory care nurses are the increase in patients entering various healthcare settings and the current shortage of qualified nurses in the field of nursing. A number of opportunities await individuals who wish to become ambulatory care nurses. The job comes with many challenges, but the rewards outnumber the difficult challenges. A career as an ambulatory care nurse provides numerous opportunities to meet and treat patients with a variety of illnesses and injuries. Becoming a part of this vast growing career will prove to be extremely rewarding.